Once enrolled, it takes less than 1 second to "punch" IN or "OUT"
Streamlines the process of totaling time cards - from hours down to just minutes! have, such as Thursday/Wednesday, 1st and 15th, 2nd and 16th, and so-on. Includes a two-level basic job tracking software. 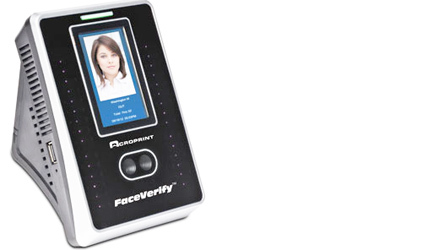 Add up to 50 more Face Verify terminals on your network as needed.